Two exciting dates this week. Wednesday is open to all, come at whatever time suits you between 10 in the morning and 6 in the evening. Try the wine, taste the delicious local products that we put in our picnics, and the fantastic cheeses that go with each of our wines. All completely free and in a very relaxed and convivial atmosphere. There is also a great exhibition of photographs by Indra Van Regemorter that is now on for the summer. 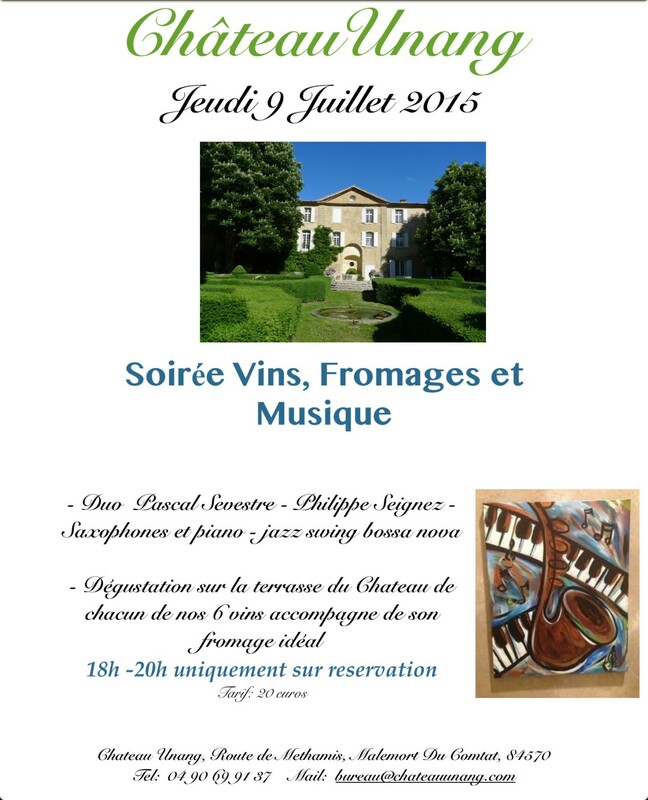 Thursday evening is our annual soiree – this year we have a great musical duo – Saxaphone and keyboards – that will go brilliantly with our wine and cheese. The evening starts at the cave between 18h and 18h30 with an aperitif, followed by a charming but gentle walk through the vineyard to the terrace of the Chateau. 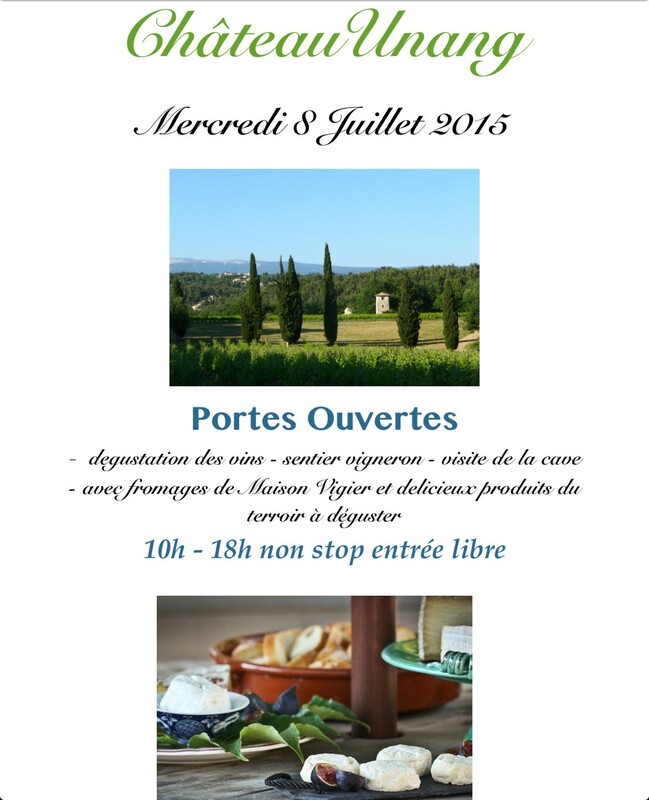 Here we will taste our 6 wines, taste their perfect partner in cheese – specially selected by Claudine Vigier – Maitre Fromagiere – from Carpentras, enjoy swing and bassa nova in the gardens of Chateau Unang. For this you need to make a reservation and the evening costs €20 payable at the door. Call 0490 699137 or email bureau@chateauunang.com. Very much look forward to seeing you there.